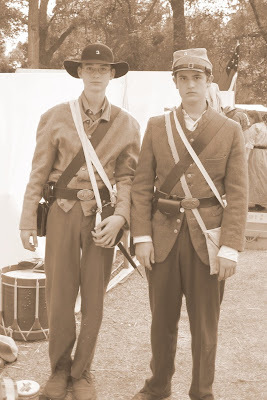 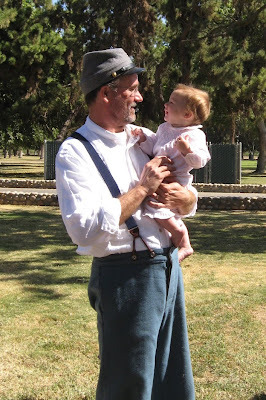 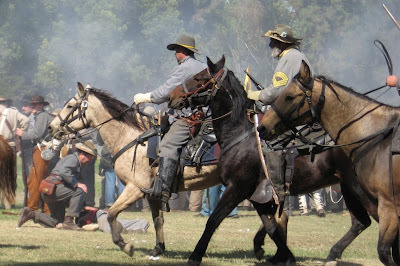 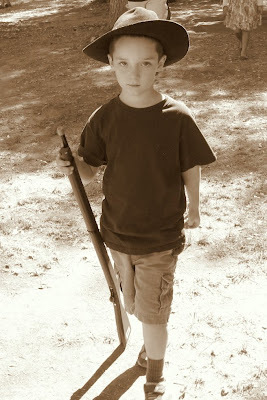 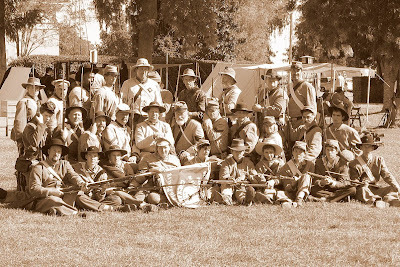 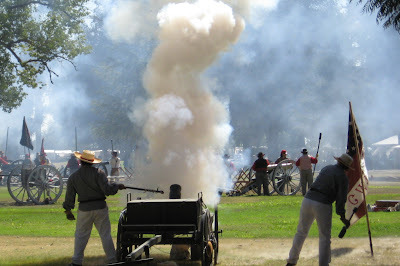 A few weeks ago Connor and I got to participate in the local civil war reenactment at Kearney Park. 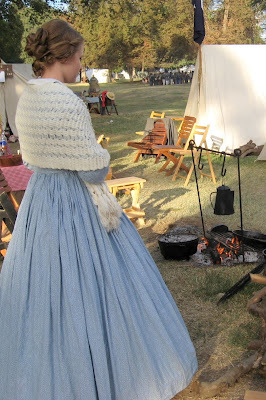 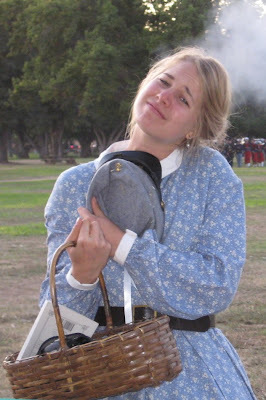 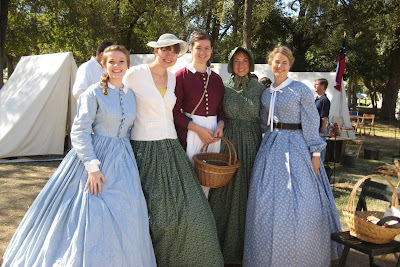 We thoroughly enjoyed spending a few days getting to dress up (I felt like a little girl playing house again), act out history, and be surrounded by other reenactors. 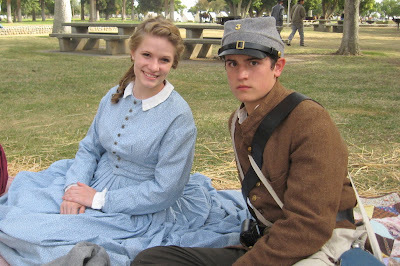 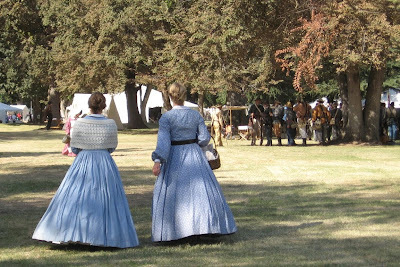 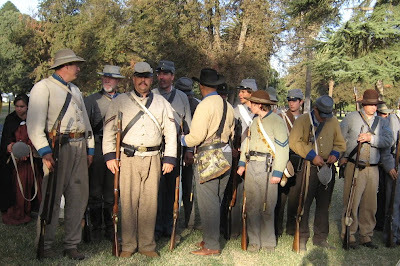 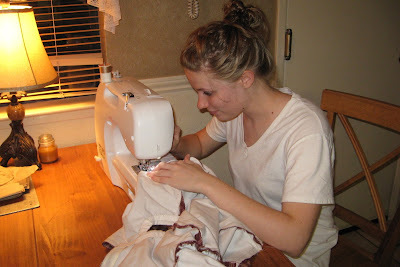 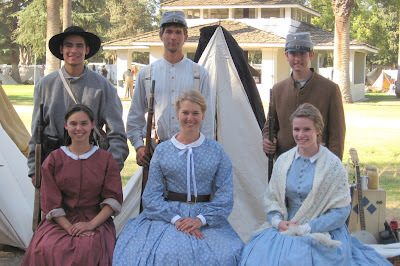 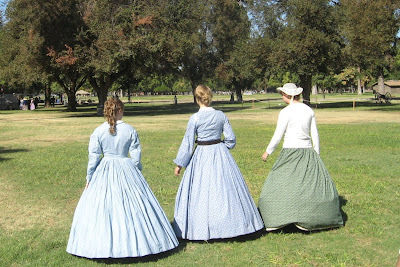 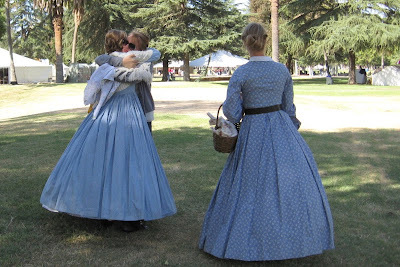 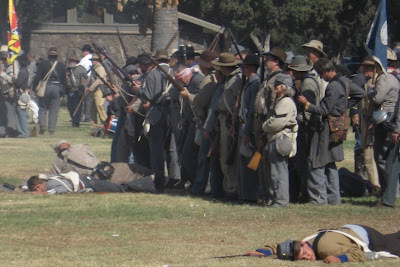 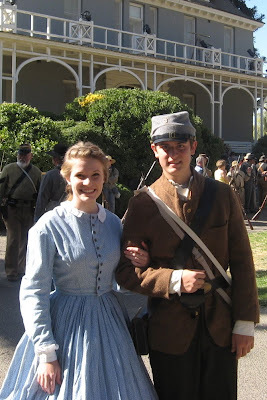 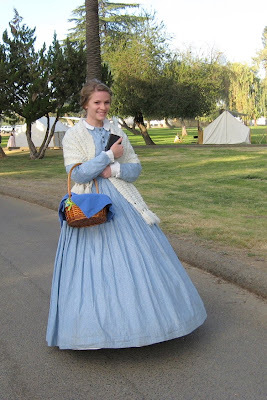 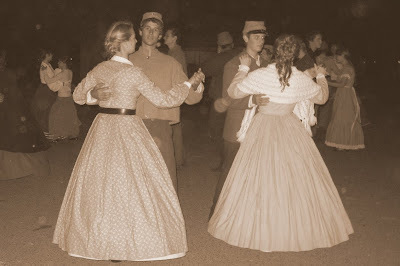 In fact, I am in the process of making my own dress (the one I wore was borrowed from a friend), and Connor and I, along with some of the Parishes, are going down south in a few weeks to participate in an even bigger reenactment than the one we have here. 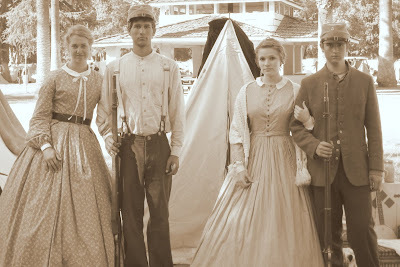 I hope you enjoy the pics. 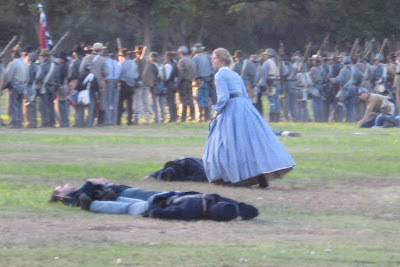 Sally, after the battle, searching for family and friends among the "fallen"
Our brothers were such gentlemen - offering us their arms, giving us their jackets when it was chilly in the evening, etc. 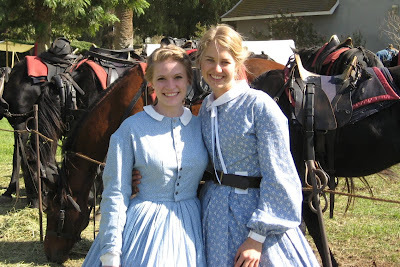 I hadn't seen Kendra in what felt like AGES. 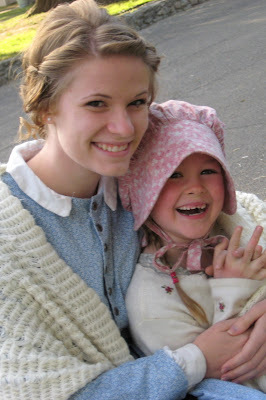 It was SO good to see her again. 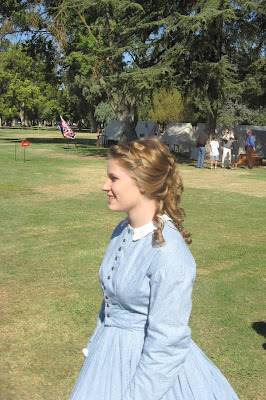 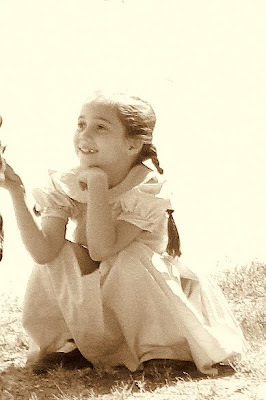 She and Daniel and the girls made a spontaneous trip to Fresno on the last day.